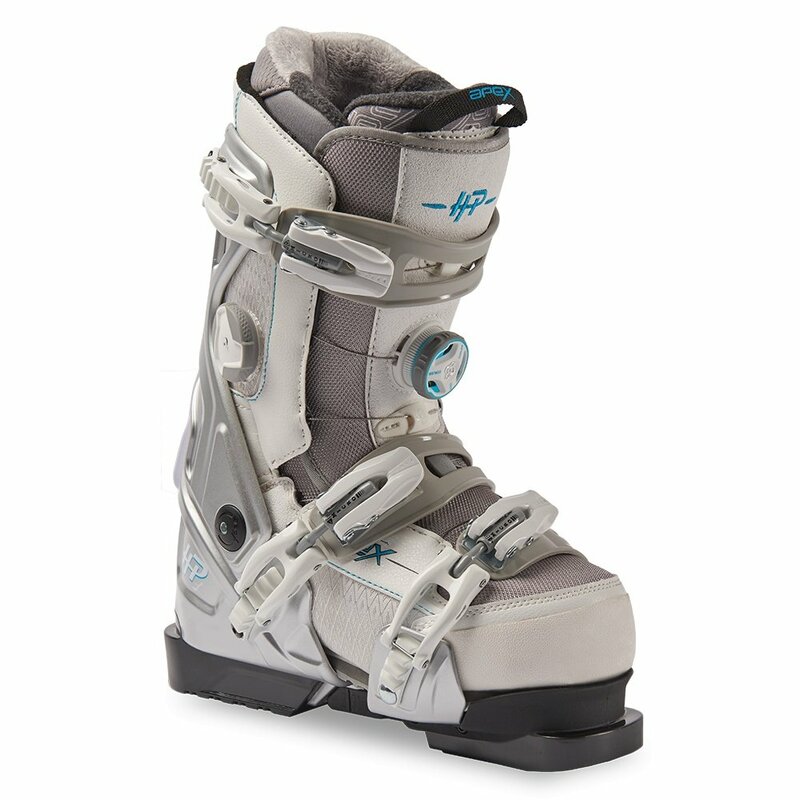 Lots of boots offer support, but none of them can provide support at the level of comfort available to you in the Apex HP-L Women's Ski Boot. That's because it's got an Open Chassis™ design that wraps a nanofiber reinforced frame around a Walkable Boot to give you response and support when you need it and comfort and traction when you don't. Three buckles anchor you in place and the A-Flex Suspension™ lets you tune forward lean and flex to match your needs, the conditions, or just whatever you want to ride that day. bought two pairs of Apex boots for my wife, kept the pair that fit, returned the pair that didn't. It helps that Apex boots are easy to fit and that hubby used to work in ski shops. Process was easy with PG's return policy!